One of the biggest mistakes new bloggers make is assuming readers will automatically revisit their blog. 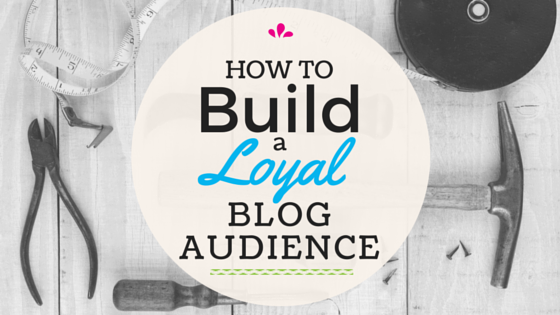 Little do they know, building a loyal blog audience takes effort – as much hard work as creating content for the blog (or even more). 1. Focus on your niche, rather than everyone. As cliché as it sounds, you can’t please everyone. In the blog world, this especially proves to be true. Those who count most are those who visit regularly. They are the ones who are more likely to share and appreciate your work, simply because they relate to your work. As you keep blogging, you’ll start to notice who and what type of people your blog attracts. Try to cater to that demographic specifically and keep them in mind when you create content. Originality adds to the quality of your blog. You want to be able to offer your readers unique and valuable content. The more original your work is, the more likely visitors will choose to read your blog over other blogs. Having a great personality may lead to original content, but I believe there’s is a thin line between incorporating your personality into a blog and lacking a sense of professionalism. It’s easier said than done, but try to find a unique voice while maintaining formality. Although I write in a conversational tone, I try to maintain professionalism by writing in complete sentences, AP-style format, etc. If you can find the balance between using your own voice and presenting yourself in a professional manner, then you are on the road to success. There is always room for improvement, no matter how successful your blog has grown to be. Research veteran bloggers within your niche. Not only use them for inspiration, but seek constructive criticism from them. Then, try to find success in your own unique way. 4. Publish with full confidence. Always be proud of your work. If you don’t feel confident in the content you create, then you are doing something terribly wrong. Every time you click “publish,” you should be proud enough to share your work with the world. Remember: Your viewers seek value! Consider using catchy headlines (while keeping SEO in mind). Headlines should lure your readers in. Most readers make a decision to read a post based off a headline alone. If a headline can’t catch one’s interest, one may miss out on some of the most amazing work you’ve written. 6. Keep your posts easy on the eye. Most people scan versus read. (Even I’m guilty of this. Our time is just so precious these days.) Try using sub headers, bullet points, line breaks, or images to break up long blocks of text – anything to make it easier and faster for people to read! 7. Take the time to show your readers appreciation. For example, on Twitter, retweet your readers (adding a personal message if you have room). Take the time to comment on their blogs, social media accounts, etc. For my Diaper Etiquette blog, I find people who hashtag #diaperetiquette on Instagram, and repost them on my Instagram account. 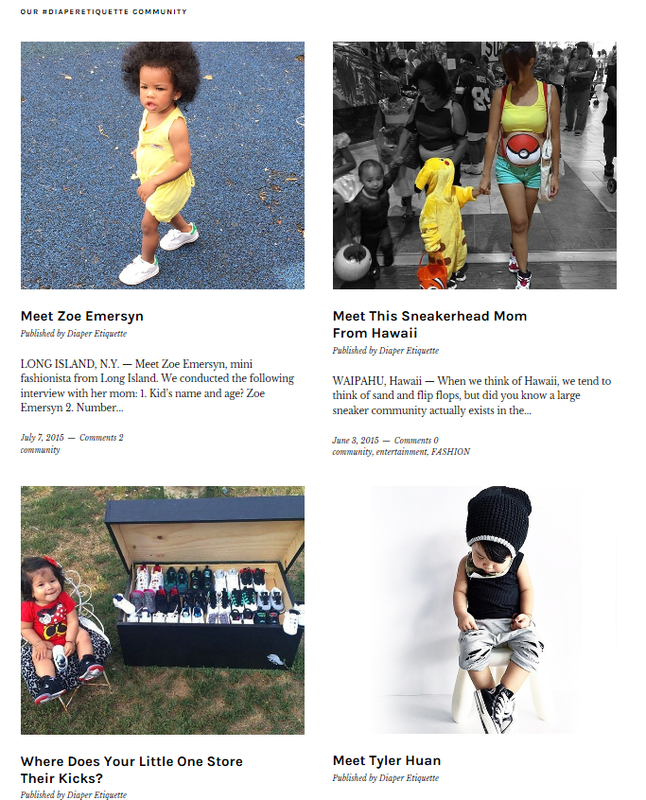 I also take the time to interview others via email and write blog posts about their kids. Attempt to work with others in your niche – collaboration forms symbiotic relationships. Chat via social media. Most people on social media will list their email addresses – reach out to people! Build communities across all social media platforms. Networking works best when you build friendships. Also, don’t forget to give yourself time to answer questions and reply to comments. If your blog offers value to readers, chances are they may have questions or may want to engage in conversations. Every marketer knows email lists prove to be successful. I’ve heard great things about MailChimp, and I recently just signed up. I haven’t personally started my own email list yet, but I am subscribed to plenty. I enjoy them, and they keep me in the loop with promotions, news, Twitter parties, giveaways, etc. Guest post on other blogs wherever you can. It not only increases your exposure, but also builds your credentials as an influencer. People gravitate towards free stuff. Offer free e-books (they’re actually easy to write and publish), printouts, e-courses, videos, or podcasts. In addition, try hosting giveaways and contests.